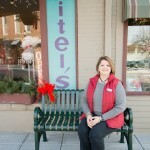 Home / Sponsor's Feature / Into the New Century: Eitel’s and Co. Into the New Century: Eitel’s and Co.
National Road Magazine is proud to welcome Eitel’s and Co. as one of our primary supporters and sponsors. Please enjoy this feature profiling Jenny Sullivan, her store, and her work transitioning a century-old business into a viable consumer option in the modern world. 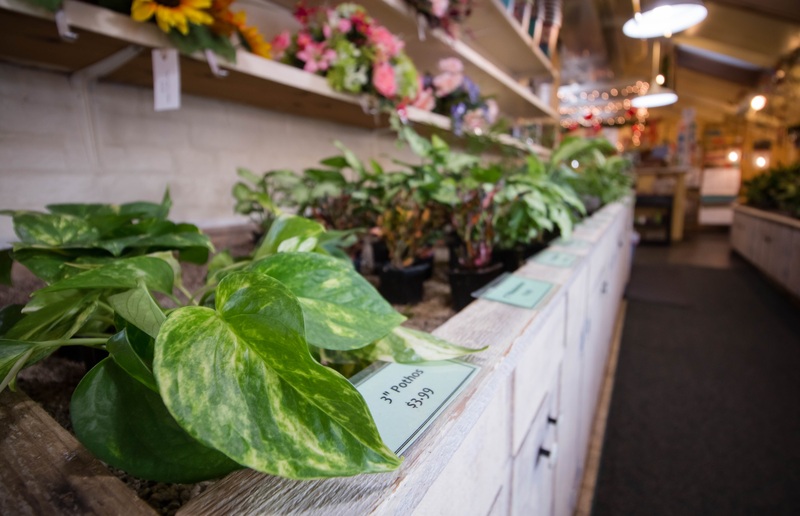 Additionally, if you’ve enjoyed the content in National Road Magazine, then please support our sponsors and check out what’s happening at Eitel’s and Co. Florists. Other Current and Former Primary Supporters: Myers’ Market, Distinct Web Design, and The Putnam Inn. When I step into Jean’s house, I always notice her holiday trees. Jean—my fiancée’s mother—is a passionately festive person, showcasing a set of three (and sometimes four) trees throughout her home. Each Christmas, her evergreens boast a range of niche designs. One always sports a traditional arrangement flouting the full-on festive reds, whites, and greens. Another often displays a rustic theme, usually sitting along the threshold between the kitchen and the dining room. And occasionally an angelic tree draped in silver and white will peek through the front parlor window. 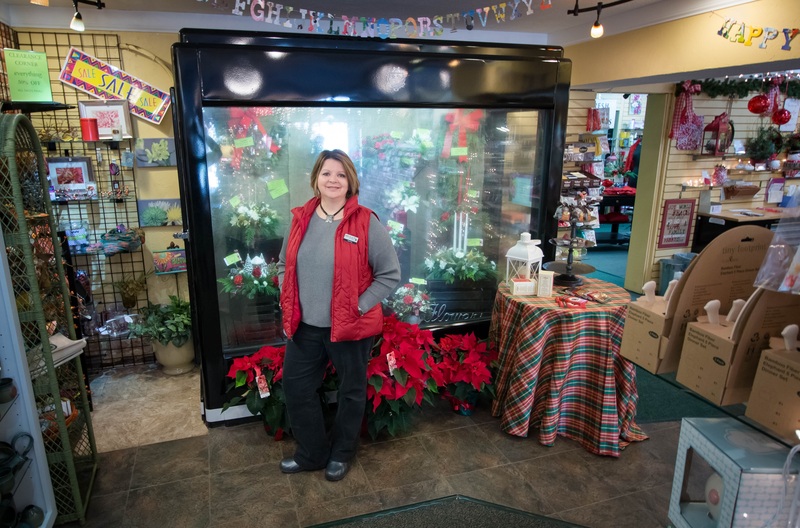 Every year, she contacts Eitel’s and Co. Florists, and every year an Eitel’s professional travels to her home taking the time to not only deliver her holiday goods but set them up and nail the overall presentation as well. You can call it extravagant if you want, but if you know Jean, you also know she’s spent her entire life working impossibly hard from humble beginnings to reach this point. Her décor brings her a much-earned peace and offers an added touch of joy to all of us who visit her. And given the fleeting nature of good feelings…Jean’s home is a perfect example of something tangible paying for itself by way of the intangible. 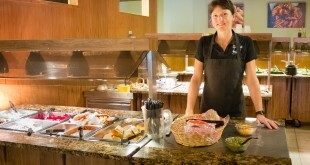 For that bit of happiness, our thanks go out to Eitel’s and Company. 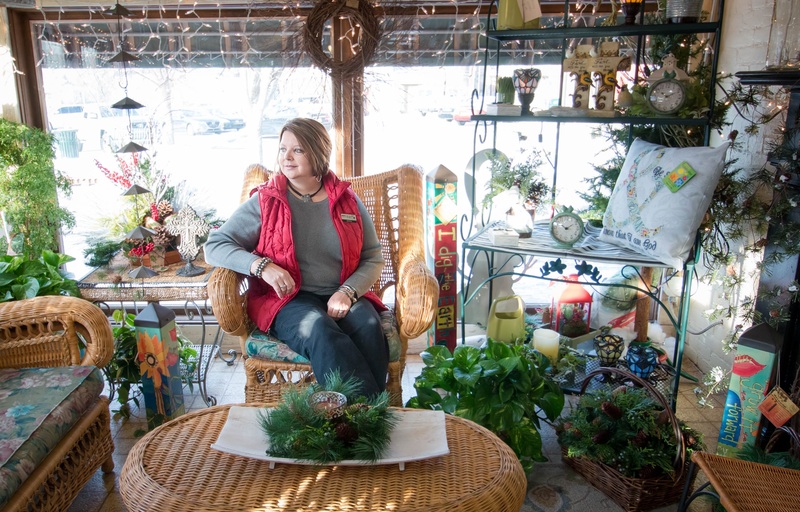 Founded in 1908, Eitel’s Florist cemented itself in the Greencastle scene, standing as both a model for long-term business success and as a hallmark of community identity. 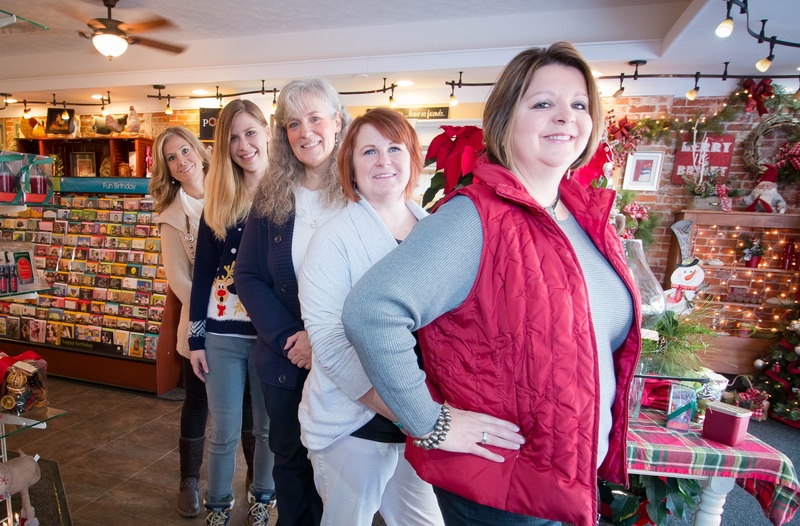 For four generations, the family operated the business gradually evolving from a 13-acre spread north of town to its current location on Vine Street. 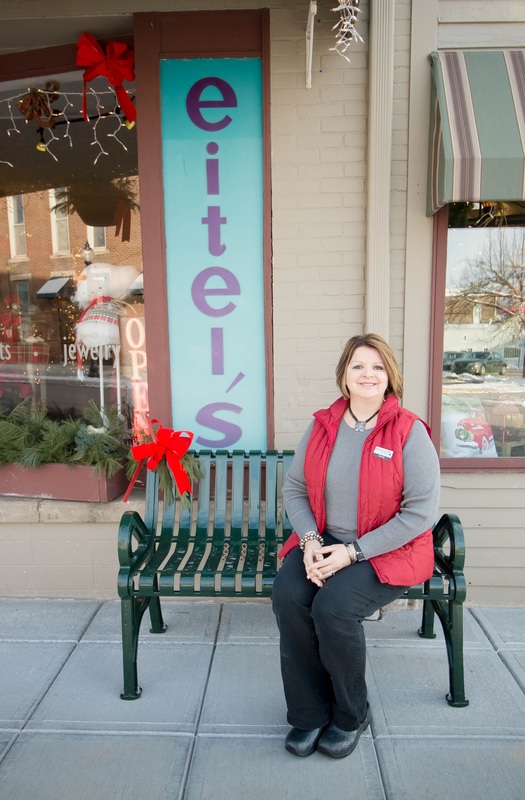 So, when current owner Jenny Sullivan bought the shop from Ken Eitel in 2011, she knew the name had to say. For her own part, Sullivan’s ascension to Eitel’s ownership was not a happenstance matter. When her children were very young, she launched Jenny’s Treasures, a home-based operation taking on visible presences at craft malls and other events. Eventually, she began selling her wares from the shelves at Ambler-Hill before finally opening her own storefront in the late 1990s. “By 2003, my oldest son was about to graduate, the economic environment had changed, and I hadn’t been in the business long enough to sell it off,” Sullivan says. “So I decided to close it down. It wasn’t long after that when Ken suggested that I come work for him.” By 2008, she had assumed full management duties, and when Eitel was ready to sell three years later, Sullivan was the obvious person to receive the keys. But as Sullivan moves Eitel’s and Co. into the new century, she does so facing a host of business challenges, many which local entrepreneurs of days past never could have imagined, chief among those a set of changing social paradigms. Once ubiquitous at funerals, many people now ask loved ones to forgo flowers and instead put their money toward memorials and scholarships in the name of the deceased. Another hurdle is the larger, more permanent reality that flowers are not daily necessities. But by far the most vexing obstacle has been the deceptive nature of the Internet. Many of the online flower services people find when they run a quick Google search are sites which operate without the blessing the local florists who will receive those orders. 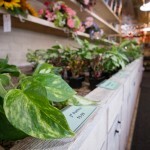 When Sullivan gets orders from these sites she works to honor them, but she often has to turn down many requests as well, especially for flowers sold at cost-prohibitive rates. Instead, she encourages potential customers to call Eitel’s and Co. directly or go specifically to the Eitel’s and Co. website. 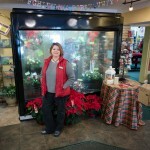 There, Sullivan assures, every effort will be taken to meet her customers’ needs. Yet another challenge has come in the form of modern business marketing. Where once a simple newspaper ad did the trick, modern consumers now spend their time exploring a multitude of social media platforms. For Sullivan, the answer is finding the avenue which gets her in contact with prospective customers. Sullivan has also turned much of her attention to weddings, where she tosses out the red carpet for “do-it-yourself” brides, providing a wide range of floral options and opening up the store’s design room as well. Additionally, Eitel’s and Co. works with many organizations from corporations to sororities, to schools holding proms providing decorations and atmosphere but added features such as candy buffets and other treats. And for all of life’s other reasons to celebrate, from the grand to the mundane, Eitel’s sells an arrangement of custom gift baskets (something she can ship anywhere in the country) containing “a gourmet assortment of the great products we have.” When you put it all together, there’s no doubt that Sullivan’s work moving her store into the 21st century has been not only admirable, but a textbook model for future business-owners. Yet, despite all the myriad changes in the current business climate, her most important service remains the one thing which has never changed: her relationship with the people who walk through her doors. Case in point: last month my fiancée, Wendi, went to Eitel’s seeking a gift for one of her work assistants. When Wendi shared that assistant’s name, Jenny Sullivan not only knew who Wendi was talking about, she then proceeded offer a number of suggestions which she knew would go over well. And when Wendi established her price range, Sullivan came back with a classy, fitting gift with no pressure to push up the price. When people talk about “personal service,” the phrase can quickly get lost in the rhetoric of the sales pitch. But living with personal service, and experiencing it as part of a back-and-forth with someone we know…? Those are the sort of things which make life in a small community meaningful.